UCLA stem cell researchers have found that a gene therapy regimen can safely restore immune systems to children with so-called "bubble boy" disease, a life-threatening condition that if left untreated can be fatal within one to two years. In the 11-year study, researchers were able to test two therapy regimens for 10 children with ADA-deficient severe combined immunodeficiency (SCID), which has come to be known as "bubble boy" disease because some of its victims have been forced to live in sterile environments. 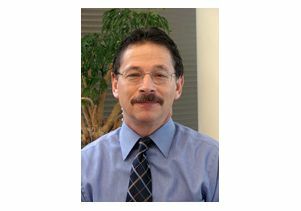 During that time, the researchers refined their approach to include a light dose of chemotherapy to help remove many of the blood stem cells in the bone marrow that were not creating the enzyme adenosine deaminase (ADA), which is critical for the production and survival of healthy white blood cells, said study senior Dr. Donald Kohn, a member of the Eli and Edythe Broad Center of Regenerative Medicine and Stem Cell Research at UCLA. The refined gene therapy and chemotherapy regimen proved superior to the other method tested in the study, restoring immune function to three of the six children who received it, said Kohn, who is also a professor of pediatrics and of microbiology, immunology and molecular genetics in UCLA Life Sciences Division. An even further-refined regimen using a different type of virus delivery system will be studied in the next phase of the study, which already has enrolled eight of the 10 patients needed. The study appears Sept. 11 in the advance online issue of the peer-reviewed journal Blood. "We were very happy that in the human trials we were able to see a benefit in the patients after we modified the protocol," Kohn said. "Doctors treating ADA-deficient SCID have had too few options for too long, and we hope this will provide them with an efficient and effective treatment for this devastating disease." Children born with SCID, an inherited immunodeficiency, are generally diagnosed at about 6 months old. They are extremely vulnerable to infectious diseases and don't grow well. Chronic diarrhea, ear infections, recurrent pneumonia and profuse oral candidiasis commonly occur in these children. SCID occurs in about one of every 100,000 births. Currently, the only treatment for ADA-deficient SCID calls for injecting patients twice a week with the necessary enzyme, Kohn said, a lifelong process that is very expensive and often doesn't return the immune system to optimal levels. These patients also can undergo bone marrow transplants from matched siblings, but matches can be very rare. Two slightly different viral vectors were tested in the study, each modified to deliver healthy ADA genes into the bone marrow cells of the patients so the needed enzyme could be produced and make up for the cells that don't have the gene. Four of the 10 patients in the study remained on their enzyme replacement therapy during the gene therapy study. There were no side effects, but their immune systems were not sufficiently restored, Kohn said. In the next six patients, the enzyme therapy was stopped, and a small dose of chemotherapy was given before starting the gene therapy to deplete the ADA-deficient stem cells in their bone marrow. Of those patients, half had their immune systems restored. The human findings confirmed another study, also published recently in Blood by Kohn and UCLA colleague Dr. Denise Carbonaro-Sarracino, which tested the techniques in parallel, using a mouse model of ADA-deficient SCID. One of Kohn's clinical trial patients enrolled in the first study was a baby boy diagnosed with ADA-deficient SCID at age 10 months. The boy had multiple infections, pneumonia and persistent diarrhea and was not able to gain weight. He received the enzyme replacement treatment for three to four months but did not improve and joined the gene therapy study in 2008. Today, that boy, who lives with his family in Arizona, is a thriving 5-year-old. "You would never know he had been so sick," Kohn said. "It's a very promising response." The boy's younger sister, also born with ADA-deficient SCID, was diagnosed at 4 months of age and is enrolled in the second phase of the study. She's also doing well, Kohn said. In fact, it appears that children who are diagnosed and treated younger seem to do better. The study was funded by the Doris Duke Charitable Foundation, the National Heart, Lung and Blood Institute at the National Institutes of Health and the U.S. Food and Drug Administration's Orphan Product Development award (1P50 HL54850 and RO1 FD003005).